. Published on November 20, 2017 . To build high levels of trust, you need to establish clear operating principles. Operating principles help clarify the day-to-day interactions you want people to demonstrate, and enable teams to anticipate and minimize conflict. Real trust only comes after people have been through a few battles together. It’s the leader’s job to make sure operating principles are in place. When the rules of engagement are clear, fair, and consistently applied, then the battles can be fun, rather than debilitating. Here’s an example of operating principles related to decision-making. Loyalty means giving me your honest opinion, whether you think that I will like it or not. Disagreement in the early stages stimulates me. But once the decision is made, the debate ends. From that point on, loyalty means executing that decision as though it were your own. In a crisis, don’t be stampeded by first reports. Don’t let your judgment run ahead of the facts. And when the facts do show up, question them if they don’t add up. Something deeper and wiser than bits of data informs our instincts. Bad news is not wine. It does not improve with age. If you do not want me to jump in and you can still handle it, I will not. But I never want to find out when it is too late for me to make a difference. Don’t ever leave my office uncertain as to what I mean. If you keep asking me, I will assume there is something wrong with my transmitter, not your receiver. Once you leave, however, the responsibility rests 100 percent with you. If there are issues between team members, then first go to each other and try to resolve them together. Don’t come to me in the third round of a fifteen-round fight. Only if you can’t resolve it on your own come to me, and come together. And I’ll play referee. Never let your ego get so close to your arguing position that when your position goes down, your ego goes with it. Always check the small things. Never neglect details, even to the point of being a pest. Occasionally you need to stand up and fight. But don’t make enemies. Opponents are okay. But today’s enemy may be needed as tomorrow’s friend. The fact that this CEO took the time to spell out and discuss these principles is a sign of good leadership. That he talks about these principles regularly and cements them with the members of his team is a sign that he’s very intent on building trust. We’ve worked with dozens of leaders and management teams to develop similar operating principles. Who’s going to be involved in which decisions? Which leaders need to meet regularly, and how often? How often do we revisit the delegations of responsibility? People work more effectively together once they start talking about how they want to work together. Trust builds naturally when the expectations are clear. What’s surprising is so many people never have this conversation in the first place. Here are two more examples of operating principles for dealing with different types of conflict. 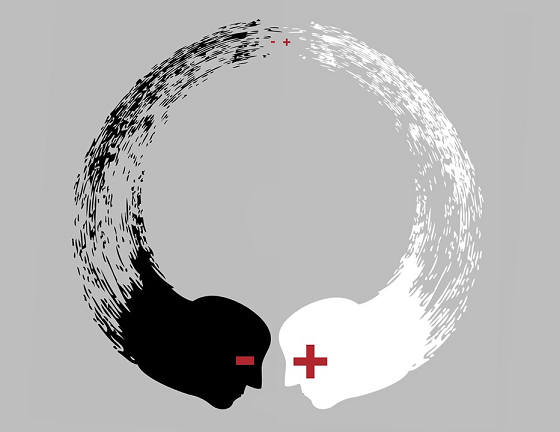 One type of conflict reflects differences in priorities, approaches, and ways of seeing things. The second type of conflict stems from past breaches of trust. Learn more about how to manage conflict at our CommunicationStyles.org blog.